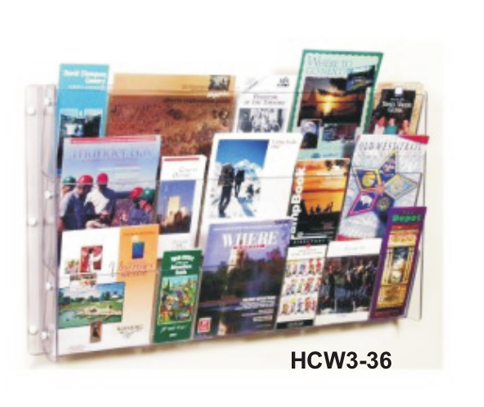 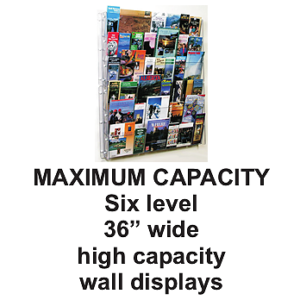 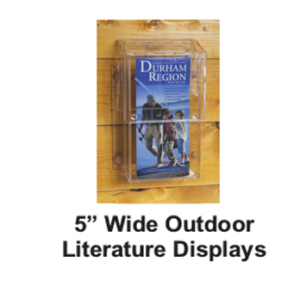 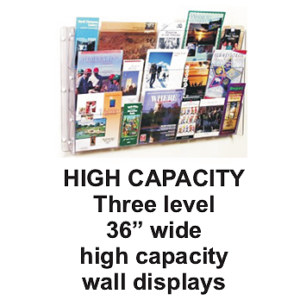 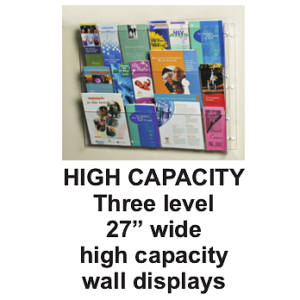 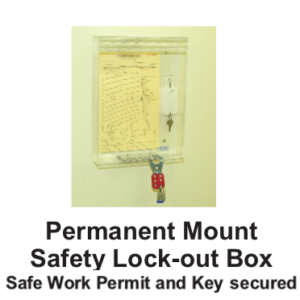 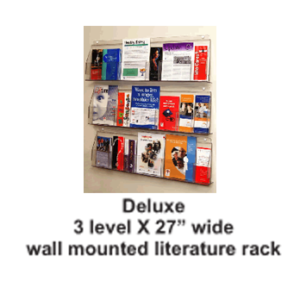 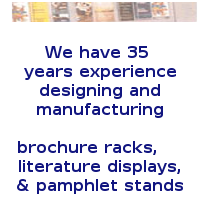 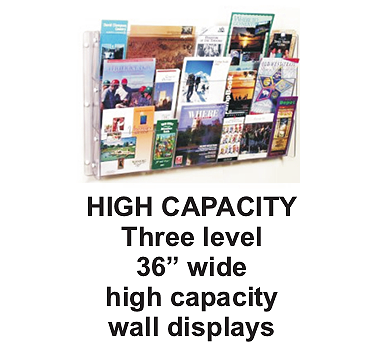 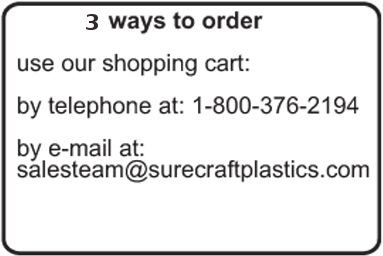 #HCW3-36 | Surecraft Plastics Ltd.
Our ‘High Capacity‘ line of wall displays will hold maximum amount of random size literature that can be properly displayed in a comparable wall areas – period. 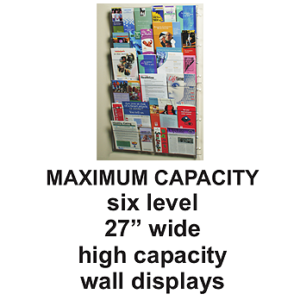 None of the same size ‘fixed pocket‘ type of wall displays even come close. 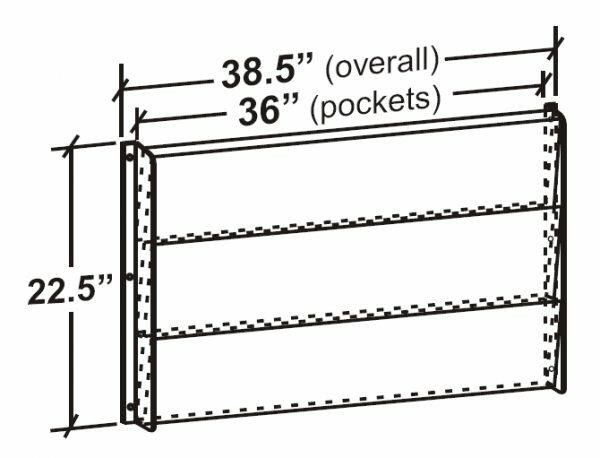 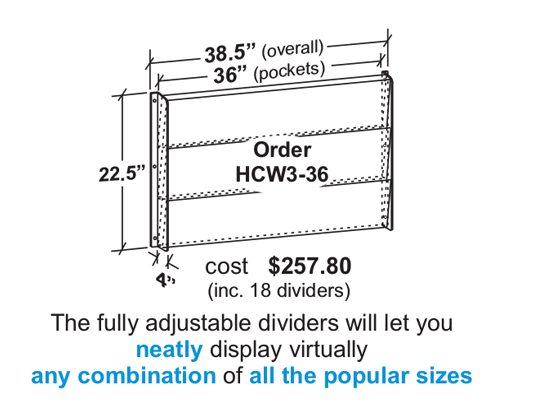 The fully adjustable dividers will let you neatly display virtually any combination of all the popular sizes.